Errol and Gita Thomas also incorporated a 4 year old Incentive Program into this prestigious event. 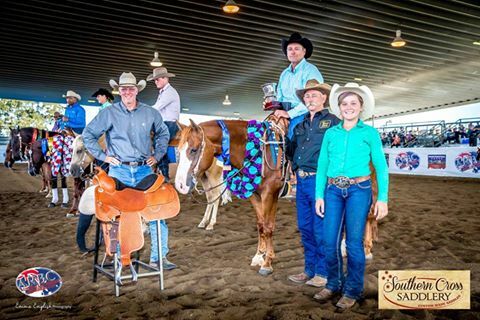 This 4 year old Incentive Program included $1000 going to the highest scoring 4 year old ridden by an Open Rider/Trainer and this was won by Shaun Saunders riding Condor Smart Play, owned by Susan Donald. The highest scoring 4 year old ridden by a Non Pro won $500 and this was won by Guy Laurie riding Big River Urban Legend. and a hand crafted Rick Meredith ARBC Trophy Buckle. It was great to see two disciplines coming together and embracing the skill both brings to the pen. 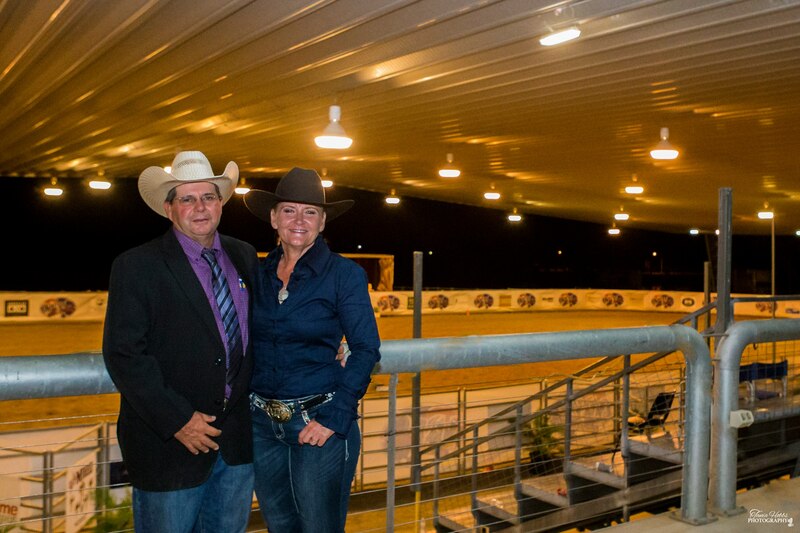 Many of the challenge competitors arrived the night before the event and it was a great atmosphere with both Reiners and challenge competitors riding in open pen and supporting each other.